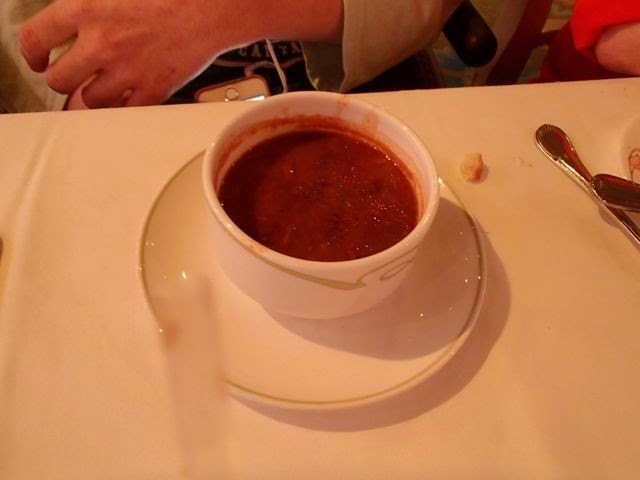 Mik tried the Beast’s Potato and Sausage Casserole Soup for the soup/salad course. He did not like it because it seemed too bland. 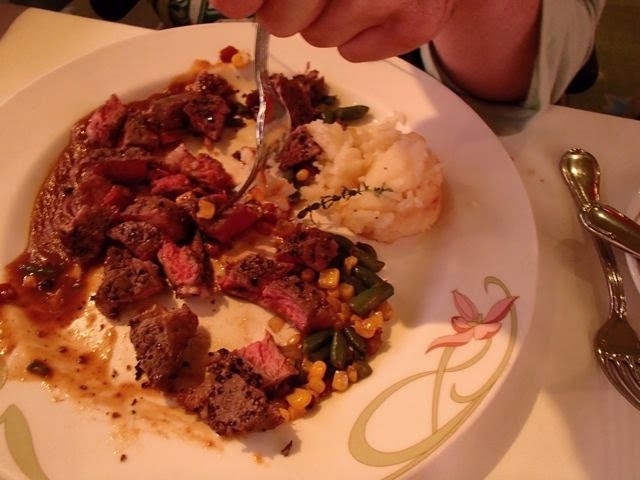 For the main course he had the Peppercorn Crusted New York Strip, which he loved. Since the sundae for the evening had Rocky Road Ice Cream and nothing else interested him, he skipped the dessert.